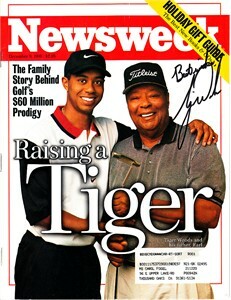 Home»Sports Autographs»PGA Tour Golf Autographs»Tiger Woods autographed 1996 Newsweek magazine inscribed Best wishes! 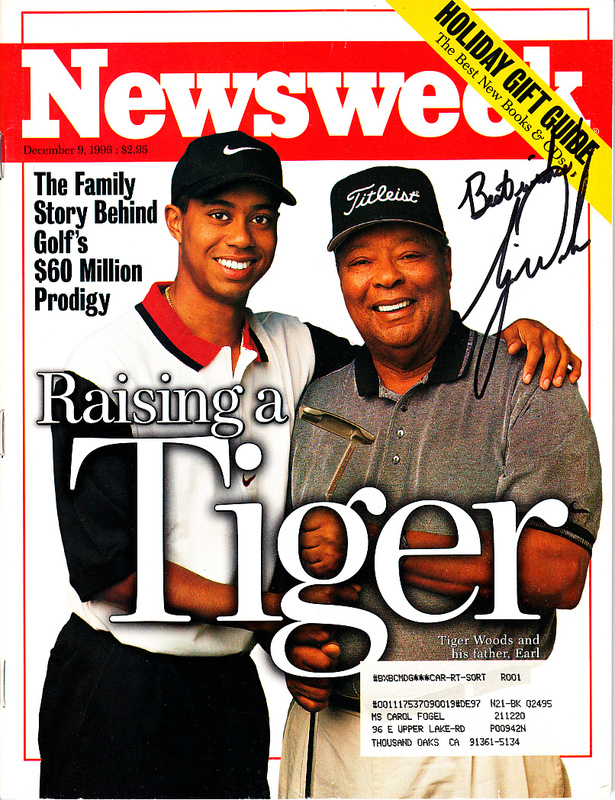 Complete 1996 Newsweek magazine featuring Tiger Woods with his father Earl, autographed in black marker and inscribed Best wishes! Note that this was signed soon after the magazine was distributed as it features Tiger's old signature. With certificate of authenticity from AutographsForSale.com. Pristine condition with only very minor wear. ONLY ONE AVAILABLE FOR SALE.